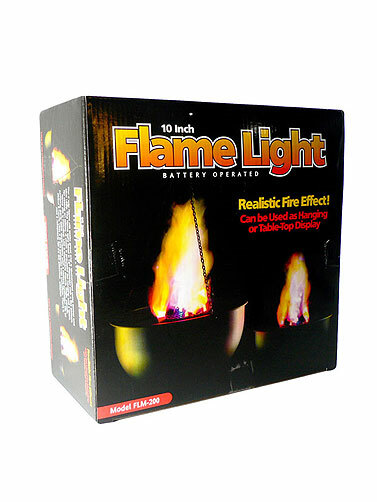 Use this flame light anywhere with the convenience of batteries. 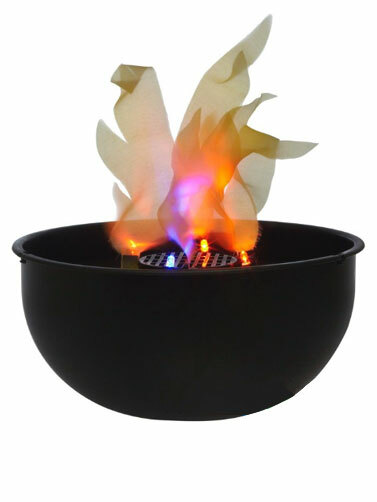 The flame light bowl is 10? diameter with a flat bottom for setting on tables and also has a chain for hanging. 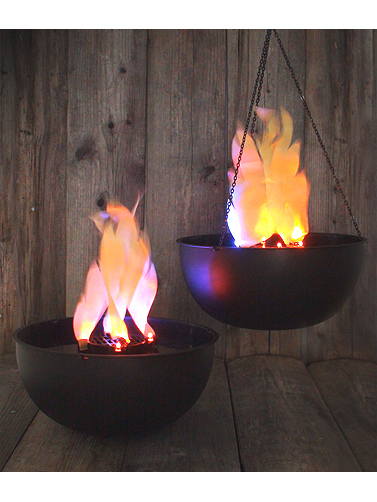 Four-way flame silk looks great and is illuminated using amber and blue LEDs. Battery life is about 7 hrs. Uses 4 D cell batteries, not included. Can be powered by electricity using a transformer adapter, not included.